. استمتع بالخدمات الراقية والضيافة التي لا مثيل لها بهذا الفندق في ملبورن. يمكن لضيوف الفندق الاستمتاع بالميزات التالية على أرض الفندق: واي فاي مجاني في جميع الغرف, مكتب الاستقبال على مدار الساعة, مرافق مخصصة لذوي الاحتياجات الخاصة, تسجيل وصول/خروج سريع, واي فاي في المناطق العامة . في الفندق غرف نوم يتجاوز عددها 112، كلها مجهزة بعناية وجمال وبعضها مزود بـ مواد تنظيف, إغلاق, شاي مجاني, جهاز ضبط الرطوبة, مناشف. يمكنك طلب اللائحة الكاملة للخدمات في الفندق ومن بينها مركز للياقة البدنية. إن كنت تتطلع إلى إقامة مريحة وهادئة في ملبورن، فستجد في فريزر بليس ملبورن بيتك الثاني. يُرجى ملاحظة أن خدمة تنظيف الغرف متوفرة فقط من يوم الأثنين إلى السبت. خدمة تنظيف الغرف غير متوفرة يوم الأحد وأيام العطلات الرسمية. يُطلب مبلغ تأميني من البطاقة الائتمانية بقيمة 150 دولار أسترالي عند تسجيل الوصول؛ لتغطية أية مصروفات عرضية أو رسوم خلال فترة الإقامة، ويُسترد هذا المبلغ عند المغادرة. This hotel is hard to find initially as it is located in a laneway. 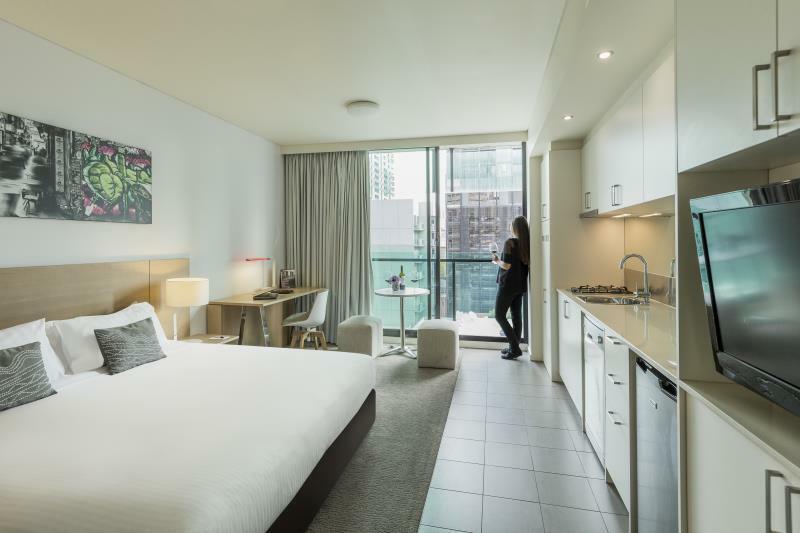 It is however ideally located to access to the free tourist tram that travels around the Melbourne CBD. It also close to Lygon St and is located within the CBD. The rooms were clean and the reception staff were friendly and helpful. Our stay here was very comfortable and pleasant. The room was spacious and beautiful. We had a nice balcony, a well-appointed kitchenette with dishes and cooking utensils, a dishwasher, and a clothes washing machine with built-in dryer. The bed was comfortable. The bathroom was very clean and included luxury L'Occitane products. The front desk staff were friendly and helpful. We skipped the breakfast in favour of eating in the room, but the spread looked good as we passed by. The internet was very fast and we never lost the signal. There is a beautiful rooftop terrace available with comfy furniture. 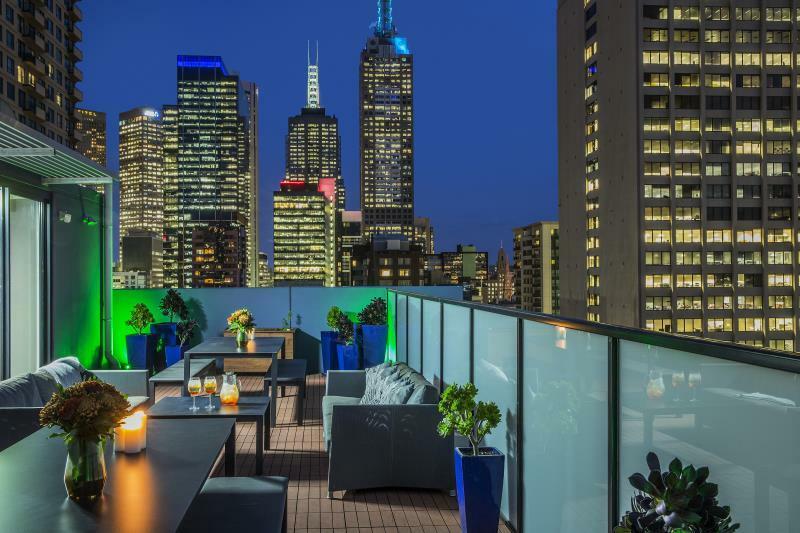 Finally, the location is unbeatable with very close access to trams and minutes walk from Chinatown and the CBD. Fraser has become my go-to place whenever im travelling overseas. The chain made me shift from IHG. This one in Melbourne is perfect in terms of location, accessibility and service. Room had everything I needed (washing machine, wine glass, utensils). Staffs were also nice enough to provide extra laundry powder. Buffet breakfast was okay, tried it for 2 mornings and saw a variety. Will definetely go back. Such a great self contained place in central location for a fantastic price. I arrived at 8am and even though check in is officially 3pm, I was able to check into my room straight away. 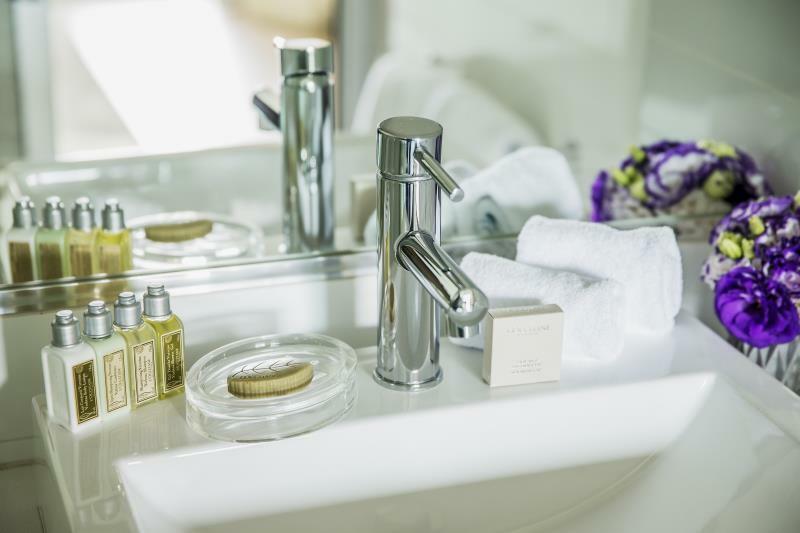 The room was fully equipped with a kitchenette, washer and dryer in the room and great bathroom features. Will be staying here from now on when I'm in Melbourne. The location is centralised but bump into some homeless as I walk around the hotel to the city; not pleasant for me. Security is good at the hotel with 24 hour access lobby. 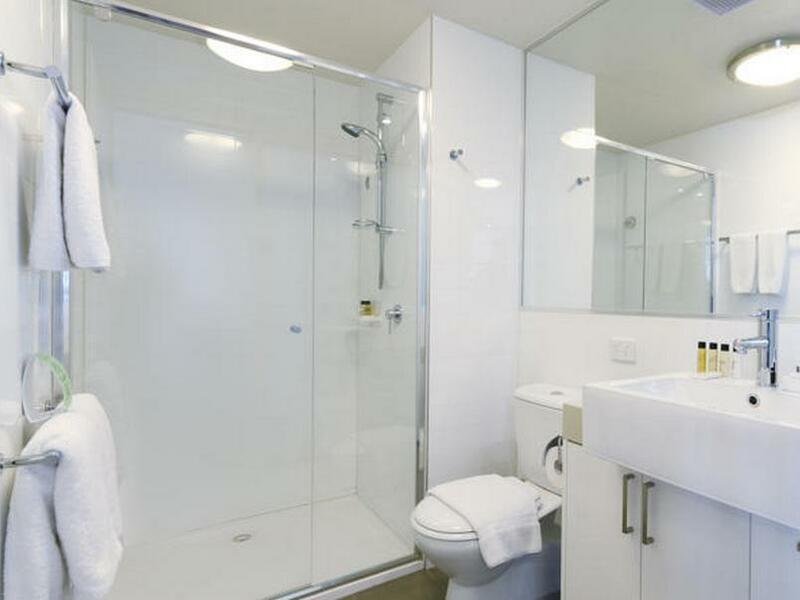 Rooms are spacious and clean, great for small families and best toiletries ever! the rooms were nice and functional, very small however and not totally sound proof. was unable to turn the volume down on the tv also, which is possibly why it was clear to hear the neighbours tv also. Only stayed here one night with my friend after her flight here. It was nice. Although the location was in the city it was still a little walk to and from the city centre (10-15mins) which wasn't too bad but can add up. There was limited/no parking nearby (only 1hr max) and once checked in, the staff didn't direct me where to go and I got lost, going to the wrong elevator (signage is not good and not straightforward) which meant that I had to take my luggage up and down a couple times before I finally found my room. Other than that it was a nice stay! The bathroom door isn't give much privacy just as an FYI but still was enough for the both enough to remind each other to not look when we were about to head to the shower or toilet, that was funny! I'd recommend for sure, just a few funny quirks. I have been staying here since it first opened a few years ago as Cube serviced apartments and I love it even more that it is Fraser Place, the free wifi is a bonus and fast too, breakfast is very reasonable if you pre pay at only $16, there were a couple of small issues with the room, the bathroom sink was not draining well, mentioned it to reception on the way out for the day and it was fixed while I was out, after check out I emailed the General Manager about a problem with the water pressure and the poor quality pillows. I had a response within 24 hours and they are aware of the water problem and are onto it and the pillows they are currently sourcing different types to have on offer, the only thing lacking is a pool but it's not a deal breaker, favourite thing is that this must be the quietest laneway hotel in Melbourne, if you want to sleep in you certainly can, I love it. Good value for money and very clean. Good location, close to Melbourne Central station, free zone tram stop and around 5 minute walking distance to shopping centers ( Melbourne Central, QV and Emporium. Unfortunately the hotel does not provide basic toiletries. This is our second stay at Fraser Place, the first time was 3 years ago. I would say our first stay was better as we managed to book the hotel at a cheaper price, breakfast inclusive. In 3 years the price has increased significantly, and does not include breakfast. The room we were given this time is also smaller than the first time. Nonetheless, we still chose to book Fraser because of it's cleanliness. The hotel is very well kept, from the lobby to the rooms. We liked the location too as it is in the CBD area and is also near Chinatown, which makes it easy to get food even later in the evening. Only slight problem with the location is that it does not face the main road, so whether it is taking the airport shuttle or the shuttle bus for day tours, we had to walk over to a bigger hotel facing the main road for the bus to pick us up. However, the pros of this is that we get to have quiet nights without hearing the noise of cars at night. This hotel is located near the national library and easy to access many places in the city. The room is not too big but got kitchen, perfect if you stay several days and would like to cook. We had no view from our room but the curtain made sure a good sleep in the morning. We stayed only one night and haven't tried the food there. The overall experience was good, great value for money. The room is big and spacious with microwave, stove, dishwasher etc.The wifi was fast until the password expired without any replacement for a day.The bathroom could do with a small tabletop and shower screen. The entrance in on the back lane and could be better without 4 big green rubbish bins welcoming you. 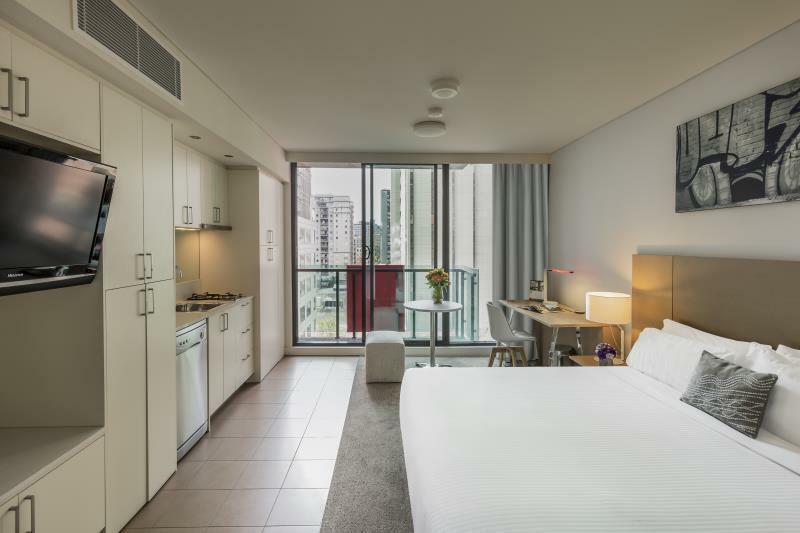 Short walking distance to Swanston, City Circle tram stop, QV. My first time staying at Frasers properties. Impressive in terms of level of service and the design of the studio. 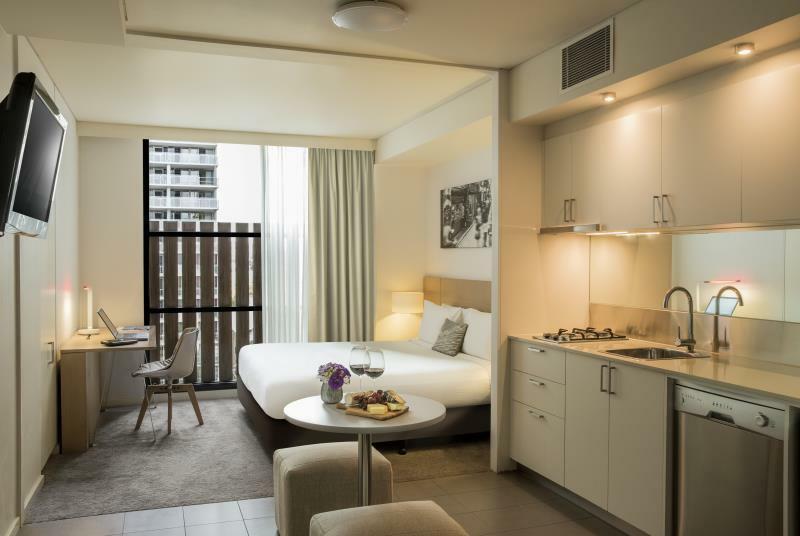 Will certainly recommend Frasers and will lookout to stay with Frasers whenever there is an option. Thank you & keep it up guys. From the friendly late check in to the ever so helpful & informative staff you couldn't falter the place, if I had to be really picky there was an annoying leak from the shower door and the room smelt of cigarette smoke, but would definitely book there again. Fantastic! It was pretty easy to find the hotel and the hotel is located just about 3 mins walk to a tram stop. 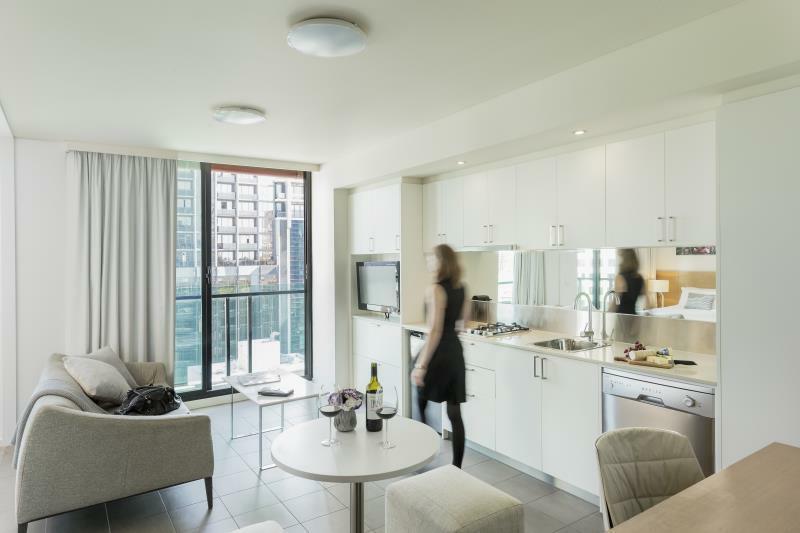 Comfortable rooms with a kitchenette. Free wifi in the room. Would stay here again the next time im in melb.